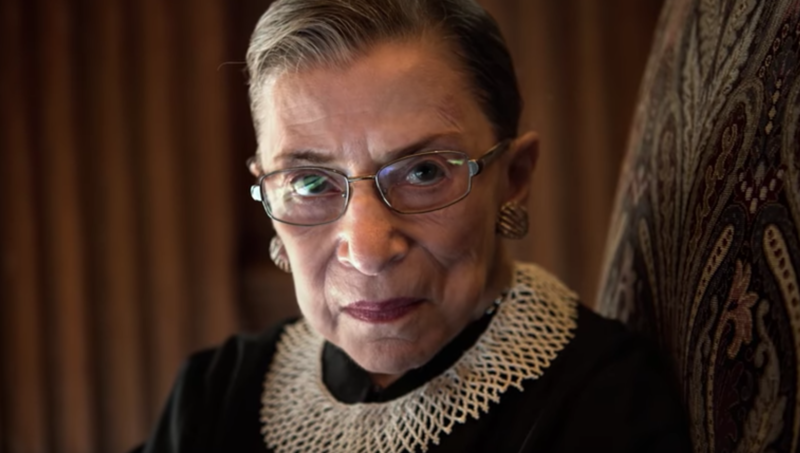 Following several weeks of recovery from cancer treatment, Justice Ruth Bader Ginsberg has physically attended a closed-door meeting of the Supreme Court. Justice Ruth Bader Ginsburg returned to the Supreme Court Friday to participate in the regular closed-door conference meeting among the nine justices, the court announce. This marks the 85-year-old Ginsburg's first time back at the court since she announced her cancer surgery. 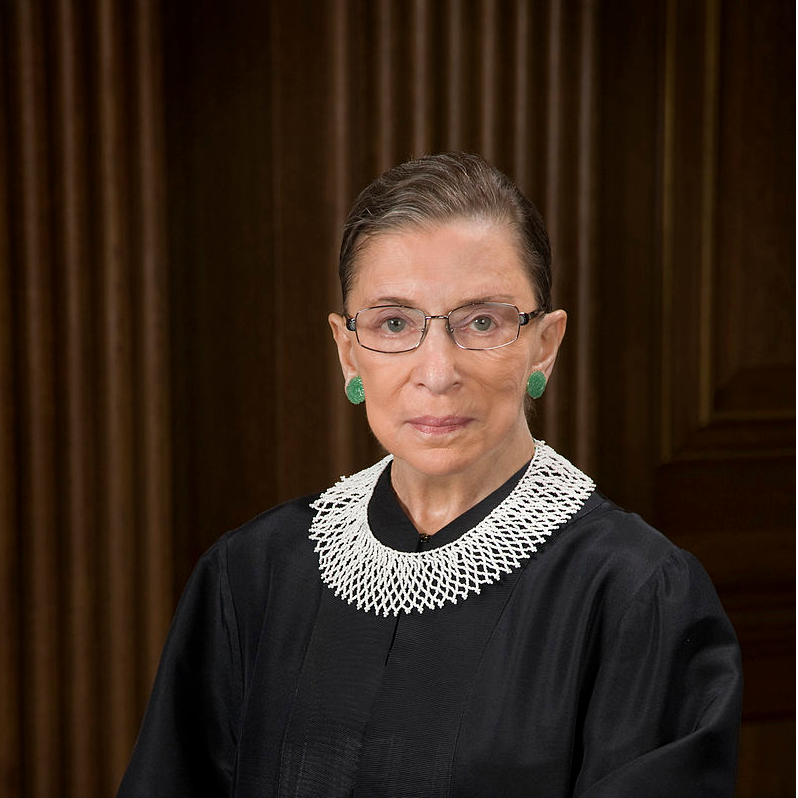 Ginsburg underwent surgery in December to remove two cancerous nodules from her left lung. There was no evidence of any remaining disease, nor is there evidence of disease elsewhere in the body, the court said in a statement. The nodules were found incidental to scans there were performed in November after she fell in her office and was hospitalized with three fractured ribs. For the first time in her career, Ginsburg missed two weeks of oral arguments. The justices will take the bench again on Tuesday. While Ginsburg is expected to sit for oral arguments, the court spokeswoman would not confirm her presence. Last week, Ginsburg appeared at an event in Washington to attend a performance of "Notorious RBG in Song." The Washington outing was to support her daughter-in-law, soprano Patrice Michaels, who released an album of songs chronicling Ginsburg's life. 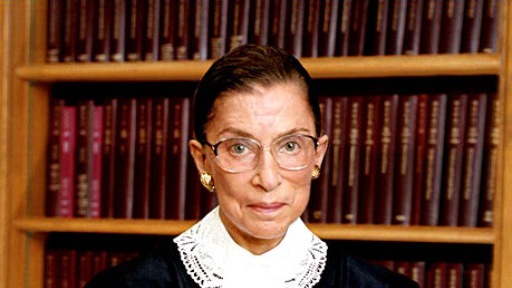 Ginsburg has had two previous bouts with cancer. She underwent surgery for colorectal cancer in 1999 and early stage pancreatic cancer in 2009. This book on America's favorite supreme court justice, Ruth Bader Ginsburg is a hell of a lot of fun! 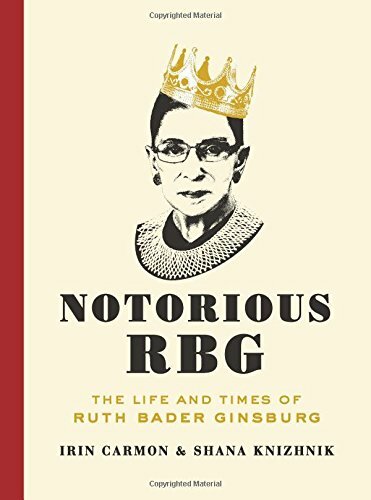 Notorious RBG: The Life and Times of Ruth Bader Ginsburg serves as a rollicking tribute to the octogenarian justice who is the darling of internet memes. In these troubling times Ginsburg's voice, wit and style may help preserve the United States. Photos, annotated dissent opinions, stories from friends and family all work together to tell the tale of an amazing life, and career in law.